We adore the work of Philippa Herbert, London. 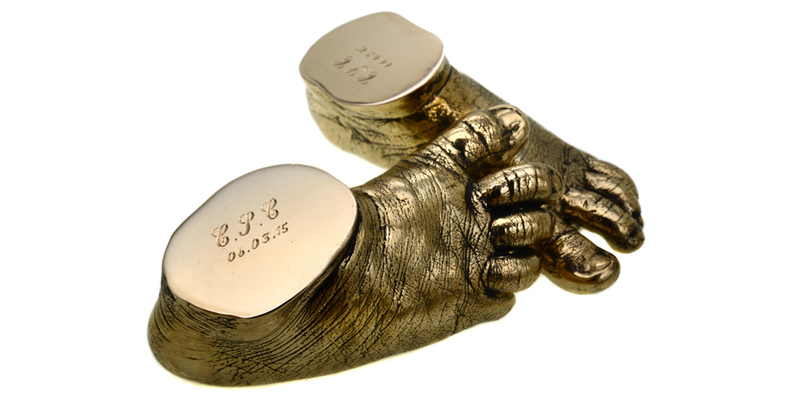 The skilled team create beautifully crafted, high quality castings of baby feet and hands in bronze, silver, glass and even gold – they are literally exquisite and would make a perfect gift. 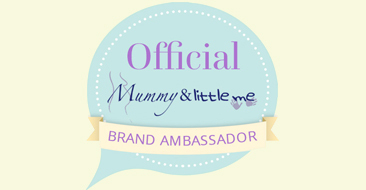 The company was founded in 2007 by sister-in-laws, Sally Herbert. Their aim was to create a business that would not only reflect their artistic backgrounds but would also work around their growing families. They have six children and a few dogs between the two of them. 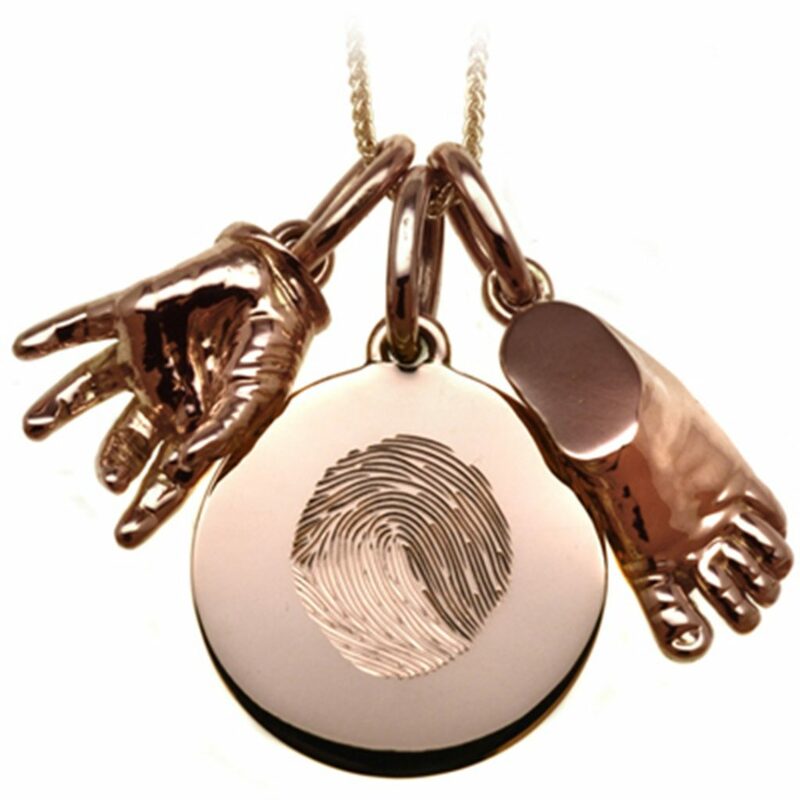 As well the beautiful castings, the talented pair also create other unique pieces, such as hand engraved fingerprint cufflinks and fingerprint jewellery, which would make a stunning gift to treasure forever. Take a look through the beautiful gallery for the full range of services on offer. 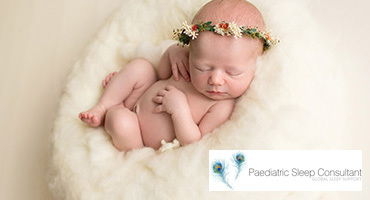 Someone can come to your home to take the casts at a time to suit you and your baby, or you can pop in and visit them, they are based in South West London. 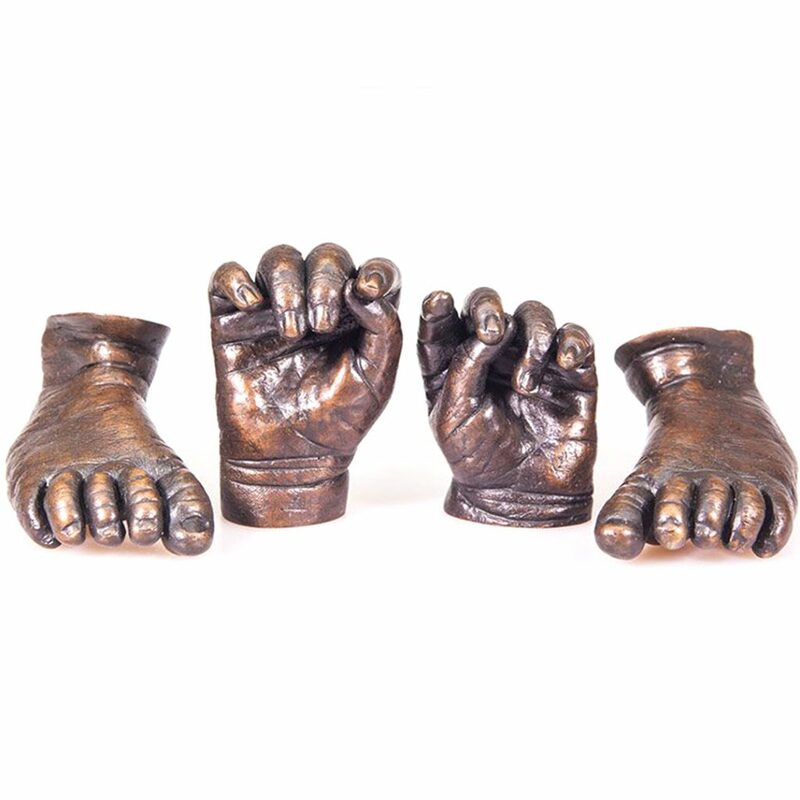 The casting liquid is perfectly safe for babies and children, and it captures every intricate detail of their tiny hands and feet – the whole process only takes a couple of minutes to perform. 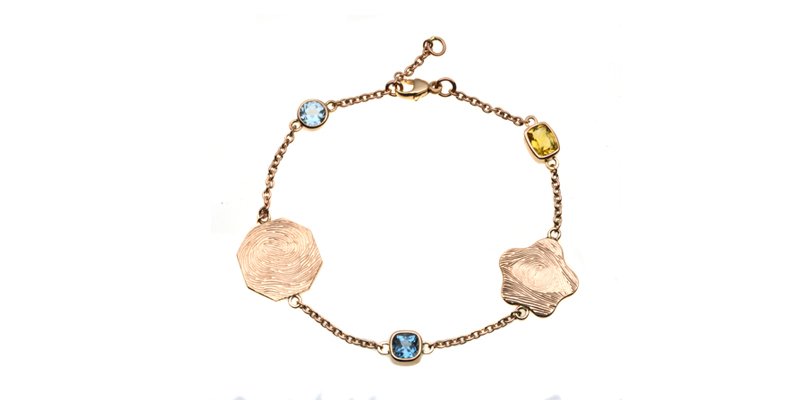 Taking fingerprints for the cufflinks and jewellery is an extremely easy process. they can take the fingerprints from your baby or, if you live outside London, an inkpad will be posted with instructions – which then gets posted back to them, nice and simple. All castings come in an elegant presentation box, the finished piece can be collected or delivered by courier, to your home or work address. If you think this would make the perfect present or keepsake please do give their website a visit. These gifts are so cute! I’ve just became an auntie so I’m on the look our for meaningful gifts for my Sister. Such beautiful gift ideas. I love the bracelet. These are a lovely way to capture those moments in time and are also tastefully done. I love babies feet, they are so cute! These are cute, my OH is looking for something like this as a nice keepsake for our 3 month old. Might point him towards this post! How beautiful are those castings! We had something similar done, but framed. 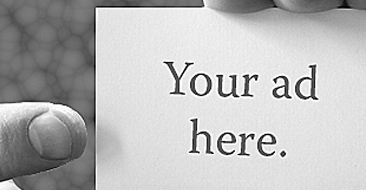 They are priceless keepsakes. I look at ours all the time and marvel at how little my daughters hands and feet used to be!